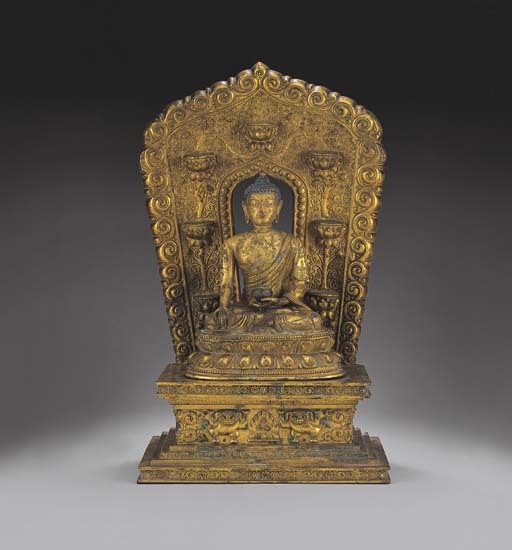 Images of Bhaishajyaguru, commonly referred to as the Medicine Buddha (and in Chinese as Yaoxi), appeared as early as the 4th century. He is the deified Sakyamuni as the medicine man healing upon the sick; sometimes in other iconographic portrayals he holds the myrobalam plant in one hand rather than the fruit, haritaki. In Indian pharmacoepia, the haritaki fruit is thought to be medicinal.